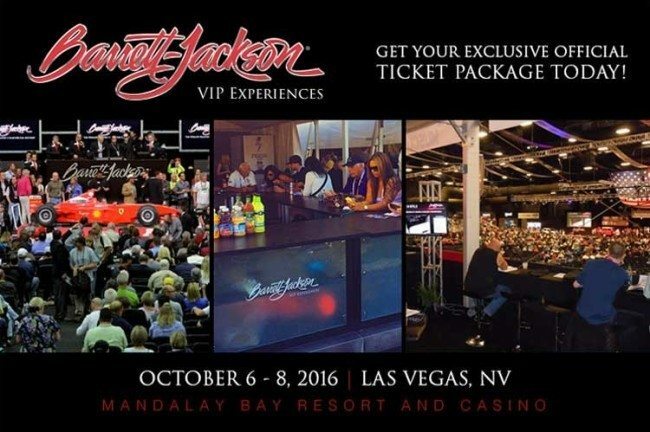 The exciting Mandalay Bay Resort is the site for the 3rd Annual Barrett-Jackson Las Vegas Auction, scheduled for October 6-8, 2016. 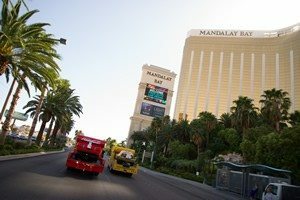 The Barrett-Jackson Las Vegas 2015 auction was held September 24-26 at the Mandalay Bay Resort and Casino in Las Vegas, Nevada, resulting in more than $26.9 million in total sales and a 98% sell-through rate. The top result at the 2015 Barrett-Jackson Las Vegas auction went to the low-mileage 1968 Chevrolet Corvette L88 that sold for $330,000, followed by the 2005 Ford GT showing only 2,081 mile that brought $291,500. The 1966 Ford Fairlane 500 R-Code set a new auction record at $275,000, while the 1979 Porsche 911 Turbo made $176,000. Visit www.barrett-jackson.com for further details.